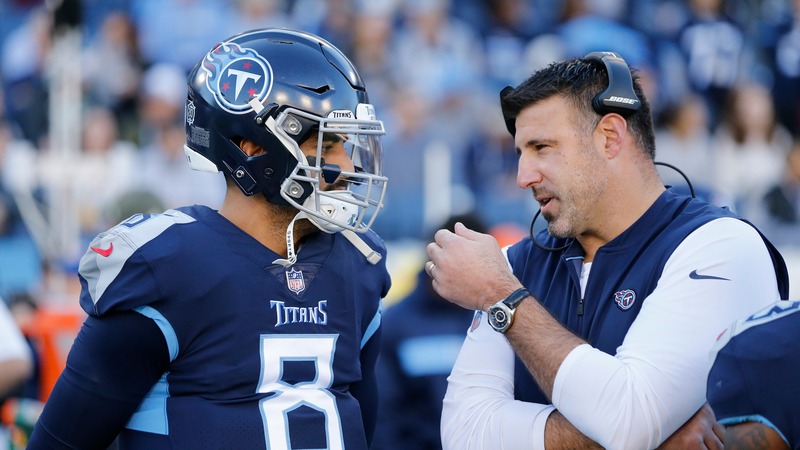 NFL survivor picks Week 14: Will Titans be Jekyll or Hyde vs. Jaguars? We'll take our chances in Week 14 with two more teams who are unpredictable in their own right as we target the Tennessee Titans vs. Jacksonville Jaguars on Thursday Night Football. The headline for our [NFL survivor picks](https://www.betchicago.com/nfl-survivor-picks-week-13-packers) last week suggested there was one more change to trust the Green Bay Packers. We were wrong as the disappointment continued with Green Bay being one of the tougher teams to figure out this season, losing to the Cardinals 20-17. We'll take our chances in Week 14 with two more teams who are unpredictable in their own right as we target the Tennessee Titans vs. Jacksonville Jaguars on Thursday Night Football. Mike McCarthy lost his job as a result of the loss, which moved the Packers to 4-7-1 on the year. Losing at home as a double-digit favorite to an Arizona Cardinals team with a rookie quarterback and [coaching questions](https://theathletic.com/675358/2018/11/25/have-cardinals-players-quit-on-wilks-that-and-4-other-takeaways-from-an-embarrassing-45-10-loss/) of their own was the final straw. That play didn't work out, but our sneaky pick of the Dolphins over the Bills held on. We hit our trap game as well, suggesting to stay away from the Colts on the road against the Jaguars. Jacksonville won 6-0. This week we fade the Jaguars, Mark Sanchez and pump the brakes on the Broncos. __Contests:__ [Free entry with cool prizes on the line](https://betchicago.chalkline.com/) ## Safe pick: Tennessee Titans over Jacksonville Jaguars The Titans have looked great in wins over the Patriots and the Cowboys and beat the Texans with Blaine Gabbert at quarterback. Then they've looked awful in losses to the Bills, Colts and Texans (the second time). The Jaguars just shut out Andrew Luck and the Colts. They stomped the Patriots. They also lost seven games in a row and replaced their quarterback. So why target this game for my official pick? Options are getting limited, and I like the spot for the Titans. As stated last week, it was a trap game for the Colts who could've been looking ahead at the Texans in Week 14. The Jaguars were playing at home and getting some sort of emotional lift not having Blake Bortles under center. The defense did its job, but will now have to go on the road during a short week to play Tennessee. Cody Kessler was unspectacular, as was the rest of the Jaguars offense. He threw for 150 yards and the team rushed for 79 yards on 2.9 yards per carry. The Titans defense is stout, ranking 7th in points allowed in the NFL. They'll be motivated after surviving a nightmare start against the Jets to win 26-22 keeping their playoff hopes alive. The Jags benefitted from a schedule spot last week. That won't be the case here. Jacksonville can try to play spoiler, but for a team that looked like it quit weeks ago, I don't expect that kind of effort two weeks in a row. __More:__ [BetChicago Fantasy Football coverage](https://www.betchicago.com/fantasy-football) ## Sneaky pick: New York Giants over Washington Redskins It's not that sneaky picking against Mark Sanchez, but the Giants are on the road and they are the Giants. Still, I think the injuries are too much to overcome for Washington. And, Mark Sanchez is starting. The 3.5-point line is curious, which gives me slight pause. ## Trap game: Denver Broncos vs. San Francisco 49ers The Broncos moved to 4-12 on the road in their last 16 games with a win over the Bengals on Sunday, their second consecutive road win. The 49ers were just crushed on the road against the Seahawks. Denver is in the playoff conversation; San Francisco is in the NFL Draft conversation. But this feels like a potential let-down spot for the Broncos. They're riding high with [three wins](https://www.denverpost.com/2018/12/04/broncos-mailbag-week-14/) in a row over the Chargers, Steelers and Bengals and travel to San Francisco before heading home to take on the Browns. The worst game the Broncos played this year came against the Jets on the road. That came after a close game against the Chiefs. Could Denver be overlooking San Francisco? It's not a chance I'd want to take with Case Keenum and Vance Joseph. The 49ers aren't good, but they're a little better at home than they are on the road. That's not uncommon for an inexperienced roster. Nick Mullens will love getting back home, where he performed well against the Giants and Raiders. I'm staying away, and may consider taking San Francisco and the points.